Electronic circuitry powered by transistors is a common, effective and popular form of binary computing. Among other components, they form logic gates required to perform the logical operations on which data processing, transfer and machine calculations are based. These operations are the typical logic arguments (e.g., AND, OR, NAND and NOR). However, logical operations conducted using transistors have limitations. For all the speed they have been engineered to achieve, transistors still have an upper limit in their efficiency over time (dictated by the properties and capabilities of silicon). Therefore, computing could still be faster, if only it were not constrained by the rate at which electrons travel across conventional CMOS technology. For some time now, researchers have been investigating alternative forms of logic gates. One theme that has emerged strongly from this work is the concept of photonic or optical technology. This would enable logical operations to move at the speed of, well, light. In addition, optical technology may be more flexible in allowing multiple parallel operations to occur, simultaneously. Unfortunately, this would require a way of switching a feature of the said light from one state to the other very quickly (i.e., to set up a binary system). But engineers were at a loss as to how to do this for a long time. Fortunately, nanotechnology emerged as a discipline, and it developed enough to provide a convincing solution to this problem. 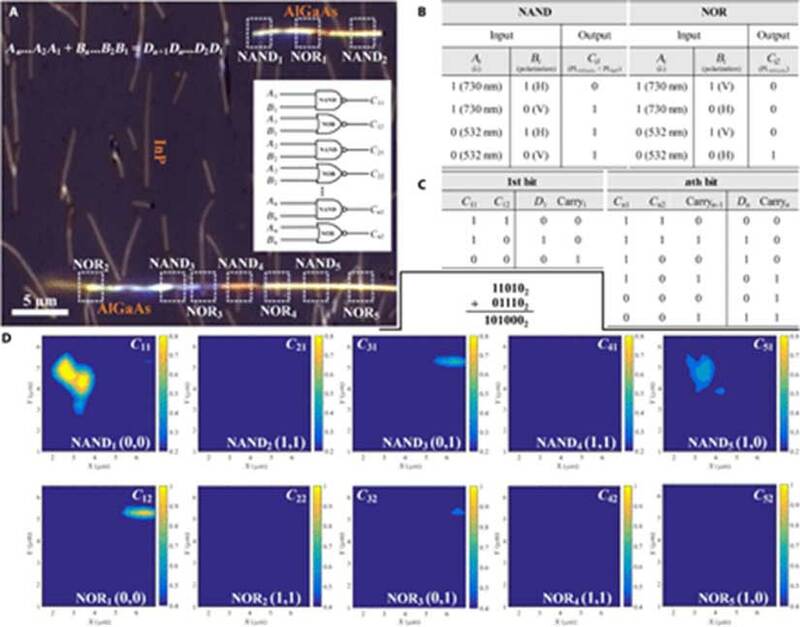 Researchers in this field found that nanowires in particular conformations made of metals such as gallium arsenide (GaAs) could provide the binary switches required. This could be done through mechanisms such as scattering excited polaritons from one type of wire (e.g., cadmium-sulfide (CdS)), which results in optical interference within networks made from another type like GaAs. However, these early nanowire systems were reported as finicky, both in terms of their manufacture and in their ability to measure the interference values, determined the position of the gate. Factors such as the above have exerted considerable convolutions on the early stages of nanowire logic-gate compilation and testing. However, a team of researchers from Aalto University in Finland has developed a newer system that may have alleviated much of these problems and made the production of nanowire-based logic systems more straightforward. 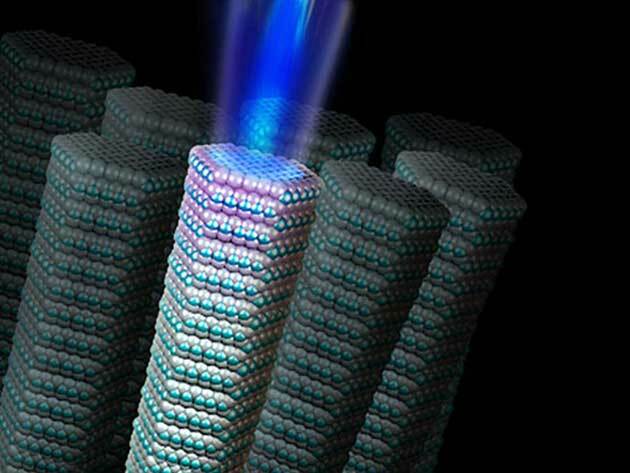 Their new types of nanowires alter the polarity of light passing through them, then switch it back again. This enables the compilation of logic gates using the nanowires, often in a mixture of two different, specific type of wires. They switch through different polarization modes based on the wires’ anisotropic structure, which is optimized to emit photons in accordance to the direction of the polarity in question. Therefore, the light that passes through them can alternate between two specific wavelengths in order to elicit binary operations. The nanowires in this study were also of two different alloys: indium-phosphide (InP) and aluminum-GaAs (AlGaAs). They were chosen due to the variance in bandgap between the two materials. This allowed for wavelength switching over more than 200 nanometers (i.e., from ~665 nm to ~890 nm). Aluminum was also included in the latter alloy as this metal conferred photoluminescence at room temperature. Furthermore, both compounds were semiconductors, which made the production (on a silicon substrate using the technique of horizontal-flow metalorganic vapor phase epitaxy using gold nanoparticles) much more conventional and reliable. 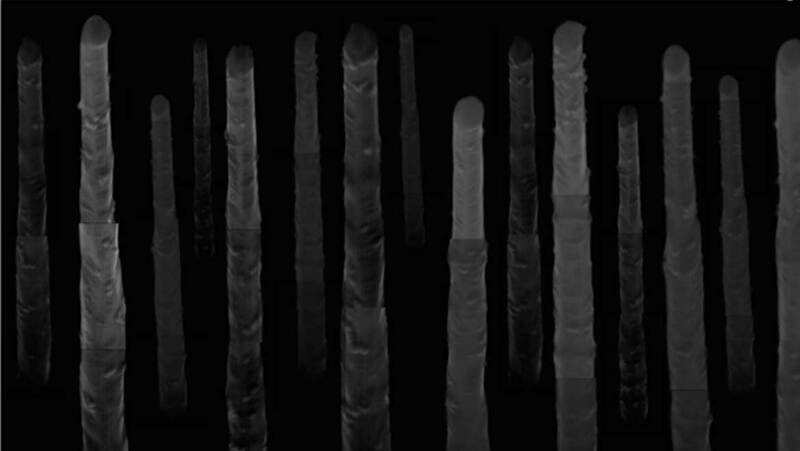 The nanowires were also arranged into a cross-bar conformation, which conferred a binary nature on the wavelengths emitted by the nanowires. For example, when a laser set at 532 nm was shone parallelly to the AlGaAs wires in this confirmation, it resulted in photoluminescence (PL) at 660 nm. Conversely, when this laser was shone on the InP wires in the same way, it resulted in PL at 890 nm. A couple of variations on this system generated a full panel of AND, NAND, OR and NAND logic gates. The team demonstrated that this could be used to complete calculations such as n-bit additions, performed by using nanowire cross-bar fields across an area as small as 30 μm by 30 μm. Therefore, it was concluded that 100% optical arithmetic was possible with the help of their new nanowire-based system. This era could be thought of as a transitional period between conventional transistor-based technology and real quantum computing. However, certain Finnish scientists (who published their findings in a recent issue of Science Advances), have demonstrated that there may be scope for alternative binary computing mechanisms in the future. Fully optical computing could improve on the speed and efficiency of conventional electronics. On the other hand, this may require much more work before it can overtake predominantly silicon-based CMOS solutions. H. Yang, et al. (2018) Nanowire network–based multifunctional all-optical logic gates. Science Advances. 4:(7). J. Bao, et al. (2008) Optical Properties of Rotationally Twinned InP Nanowire Heterostructures. Nano Letters. 8:(3). pp.836-841. Y. Huang, et al. (2001) Logic Gates and Computation from Assembled Nanowire Building Blocks. Science. 294:(5545). pp.1313-1317.